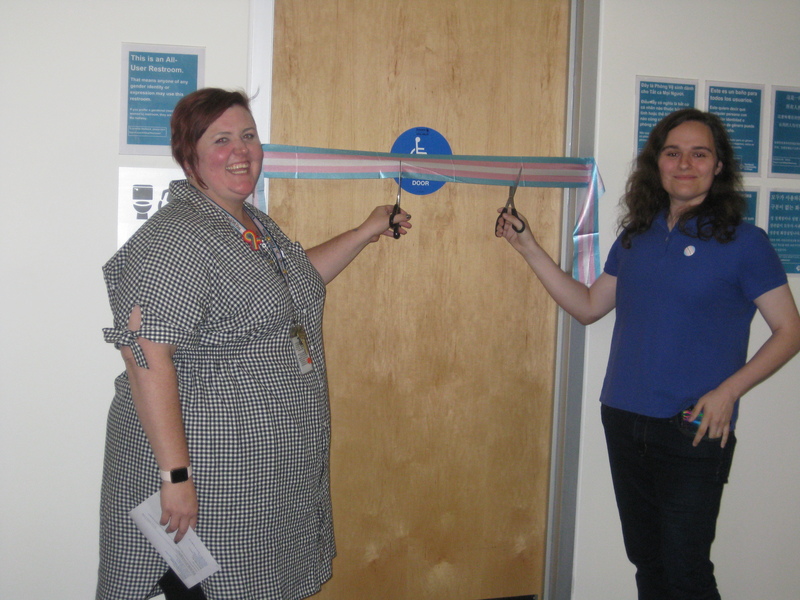 Last month, Portland Community College opened its first multi-stall, all-user restroom on the first floor of Building 7 on the Rock Creek Campus. An event was hosted by the campus’ Womens Resource Center. PCC has been adding these sorts of restrooms all over the district since it convened the Gender Inclusive Spaces Committee in 2014-15. The all-gender restroom initiative is making PCC a safer and more accessible place for transgender and gender diverse members of the community. The restrooms also benefit people who require the assistance of a caregiver or parents with children of a different gender. In addition to removing gender barriers in these spaces, the college continues efforts to improve access to restrooms for people with disabilities. View a complete list of where the all-gender restrooms are located. There are 4 comment for this article. If you see something that doesn't belong, please click the x and report it. It is funny that this article says “the college continues efforts to improve access to restrooms for people with disabilities” considering that all but just a couple of the all-user bathrooms at PCC Cascade are not accessible for a person who needs an automatic door opener. Apparently, at PCC, your not thought of if you need a safe bathroom that locks and a door that opens for you. Restrooms, in general, are not necessarily the safest places. What will you do when a man enters the room, pretending to be transexual? Uff da. It’s an ALL GENDER bathroom, Debra! You should expect any one type of person to walk in/out. There are still bathrooms for just women and men, separately. I applaud PCC’s wholly separate inclusive bathrooms and locker rooms alongside keeping the traditional women’s and men’s spaces.